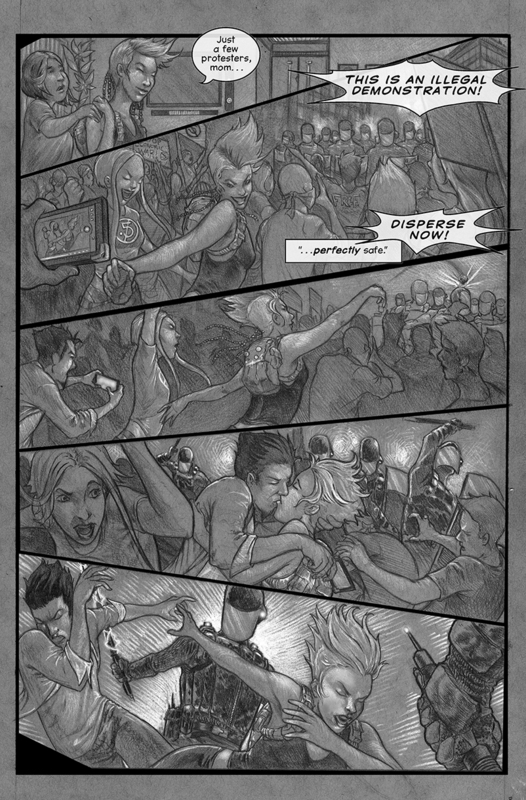 Reprise – Outré #1 still available! Our vacation away from blogging is now over and we’ll get back to our regular program with one post per week. Showcasing anything related to Outré, our contributors – or just stuff we like to highlight. And of course, we’ll start drip-feeding you content for our next issue, which launches in December, and introducing our contributors. But before that, let’s look back at Outré #1, which is still available for free, and always will be. 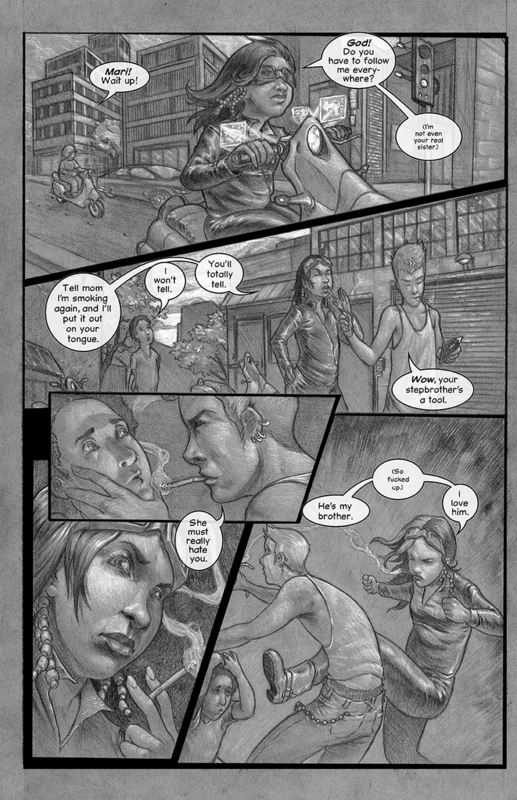 Here are three preview pages from each of the four stories we had in #1. 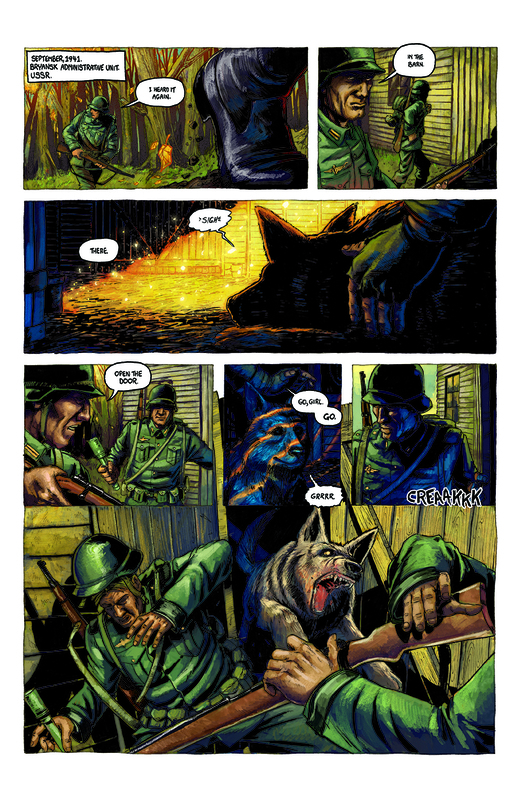 The Most Dangerous Place for Children by Ronald Montgomery (writer), Jim Giar (art), Tim Switalski (colours) and Rafer Roberts (lettering). 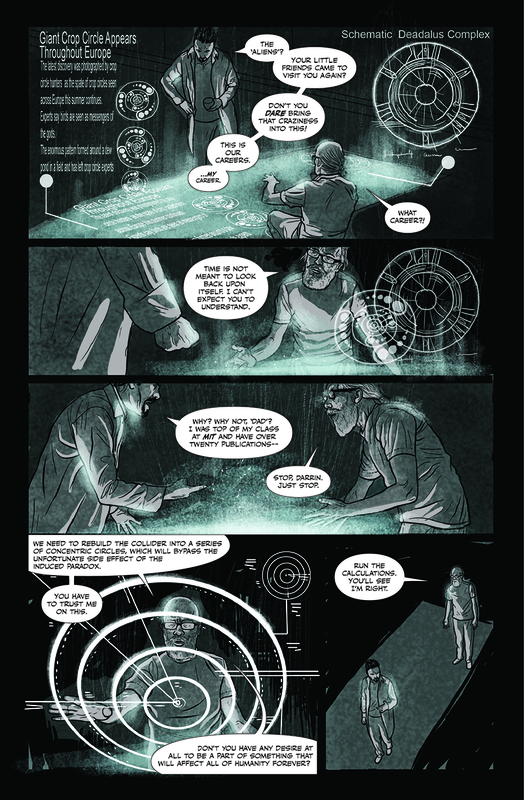 My Universe Expands Until I Have No Center by Alex Wilson (writer/letterer) and Ben Garriga (art). 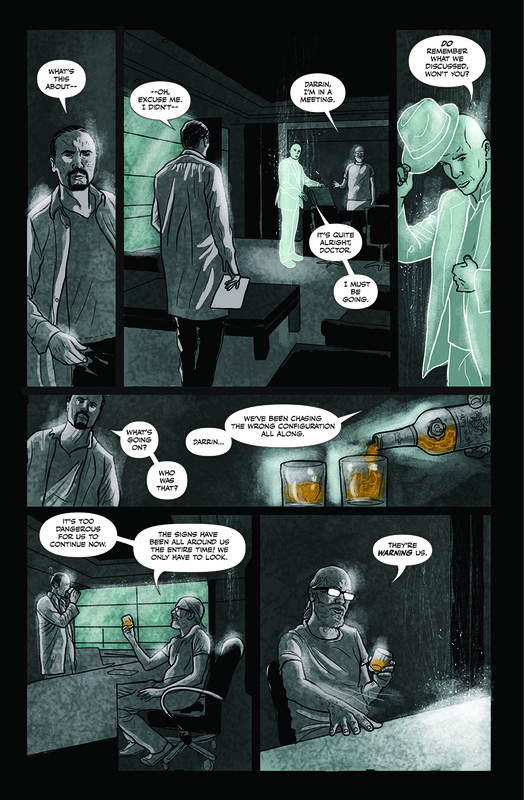 I, Icarus by Glenn Arseneau (writer/letterer) and Valentin Ramon (art). 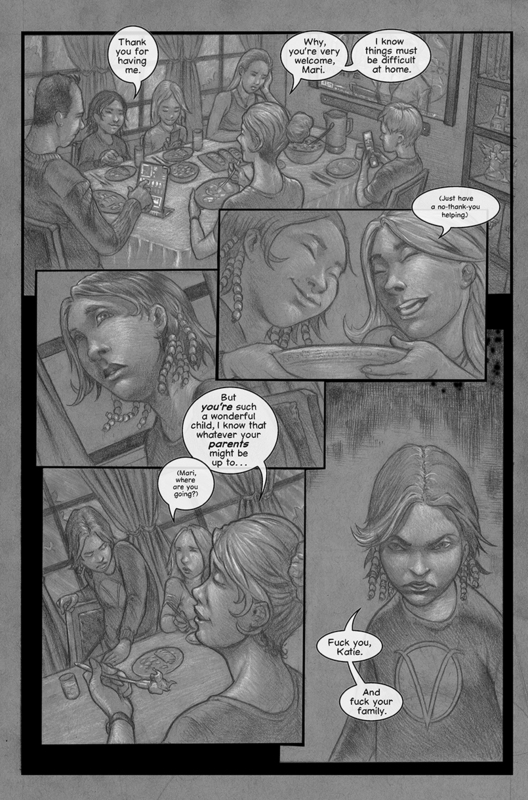 Taras and the Monolith by Dan Hill (writer) and Kim Holm (art/lettering). Although all these stories deal with responsibility in some shape or form, they are quite style and subject matter. 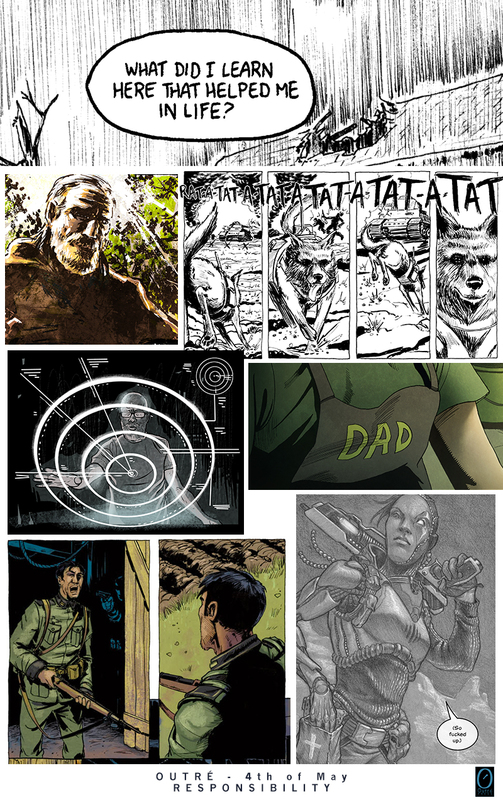 The rest of these four stories, plus great stand-alone artwork by Jelena Đorđević, Aleksandar Božić Ske, Cécile Brun and Brian Gilman & K. Michael Russell, and an interview with both Fiona Staples and Alex Wilson can be found in Outré #1. So if you haven’t already, do head on over to our download page and get your preferred version. CBZ, CBR or high and low resolution PDFs. 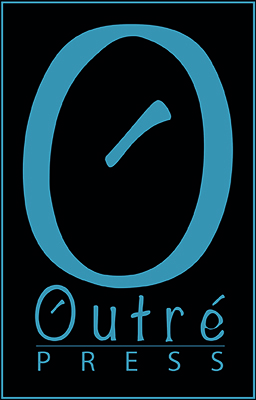 One week until Outré launches! This coming Saturday is Free Comic Book Day, and also, most importantly, the launch date for our first Outré digital magazine! Here’s a taste for what’s to come. Together with these fantastic stories and illustrations from our talented artists and writers, we’ve also got a monologue, call it a featurette if you like, by Fiona Staples. One of the most prominent female artists in the Western comic scene. 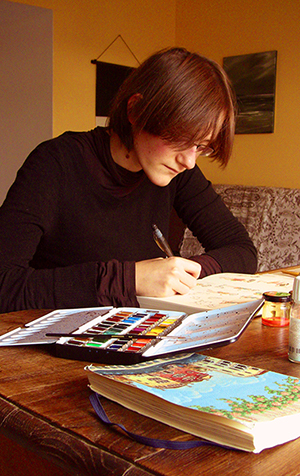 She’s done tons of covers for all manner of titles, but is best known for illustrating Saga, a terrific comic book series which continues to garner fans and praise and controversy. In Outré, Fiona tells us all about the joys and struggles of her work, how it impacts on her life, what storytelling is to her, and if we as storytellers bear a responsibility to our listeners, readers and audiences. Our four creative teams are working very hard these days, and the stories that are to be featured in our first issue are nearing completion. And since we’re more than eager to show you what we have in store for you on the 4th of May we want to give you an exclusive preview this week. 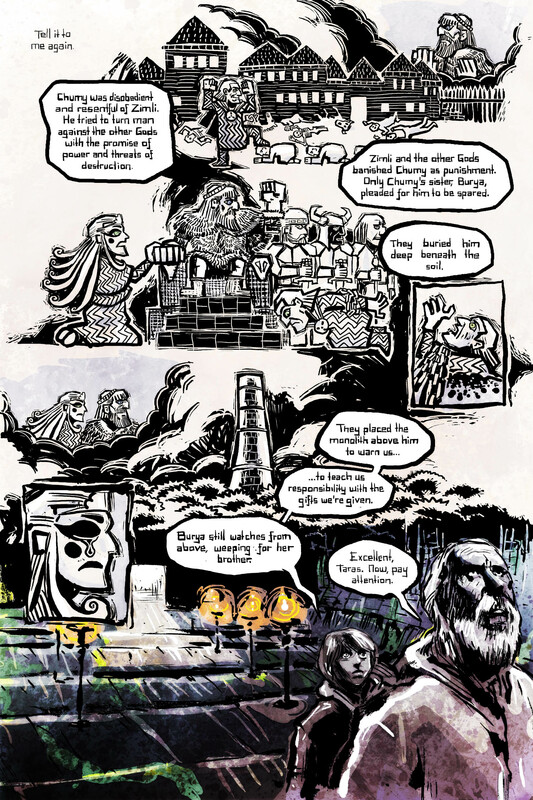 Below you’ll find not one, but two pages from the 8-page story “Taras and the Monolith”, written by Dan Hill and illustrated by Kim Holm. As you can see, Kim did a downright amazing job in bringing in this fable to life and we as editors couldn’t be happier about how it turned out. For more of Kim’s unique art visit his blog Cartoonarchy.com or his Facebook page. Before we go we want to mention that the deadline for our third, Xenophobia-themed issue is now just under a month away. As always, check out this link for details and show us what you have to say about this matter. 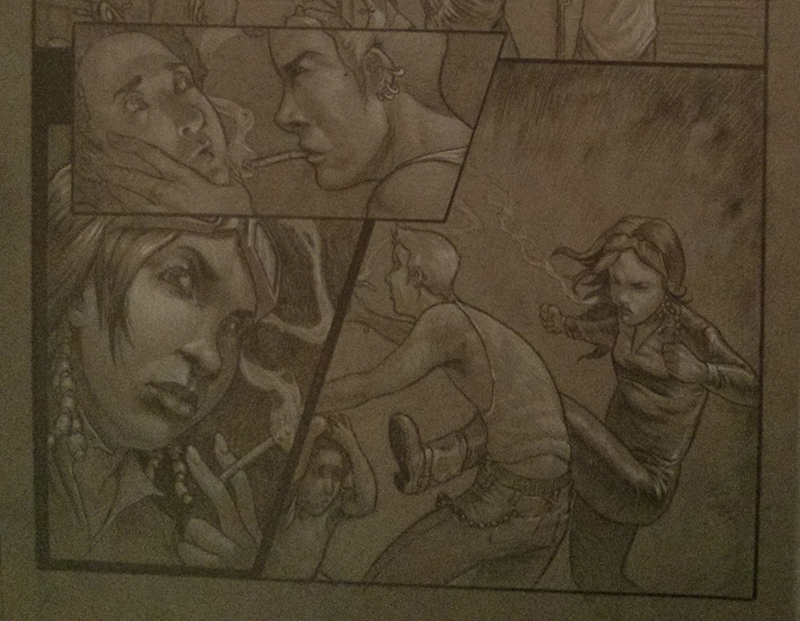 We’re deep in production with our initial issue and all our artists are pulling out some terrific pages. Outré is materialising, step by step, and we can’t wait for the 4th of May to arrive, when we will give it to you, completely free! A panel from «Taras and the Monolith». 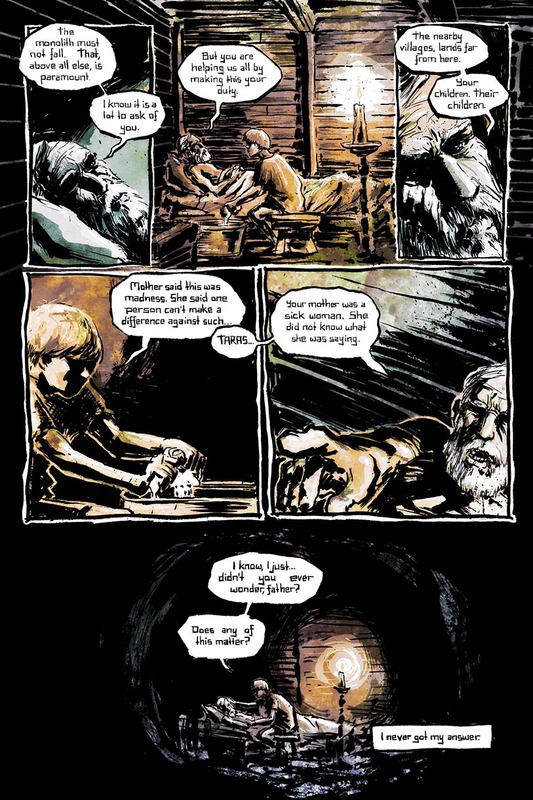 Story by Dan Hill, artwork by Kim Holm. 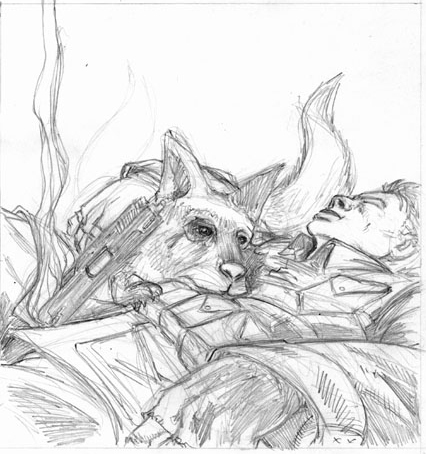 A work-in-progress panel from Jim Giar on Ronald Montgomery’s «The Most Dangerous Place for Children». Four diverse stories all dealing with the theme «responsibility», four diverse styles and four terrific artists. On top of these we’re also including 4 stand-alone illustrations from 4 other brilliant artists, and two unique interviews. We’ll have more previews as we come closer to the release date. The 4th of May is also Free Comic Book Day, an annual day where all (most) comic book stores give away free comics! So on the 4th, after you’ve gone down and picked up your free stuff and bought some great books, you can sit back and read the very first Outré, as well! And remember, we’re taking submissions for our 3rd issue, due 2014. This week we want to shine some light on what some of our Outré contributors have got rolling beside Outré. 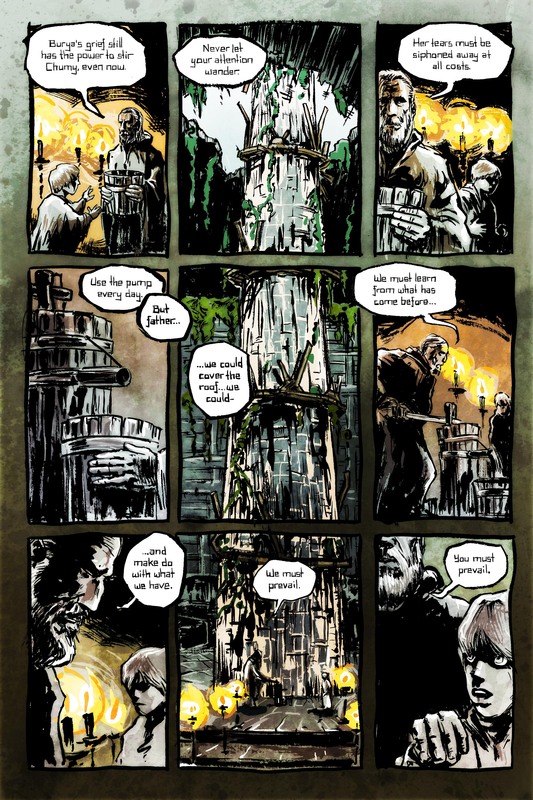 Dan Hill, one of our writers, runs a website all dedicated to writing comics. All the ropes, the how-tos and the resources can be found neatly organized at Dan’s Comic Writer Services 2.0. Always up to date! Do also stop by his main blog to get the first news from his world of creative writing, art and escapades. We will be unveiling a lot of incoming artwork for Outré in 2013, but thought we could start a bit early, it’s this time of year, after all. 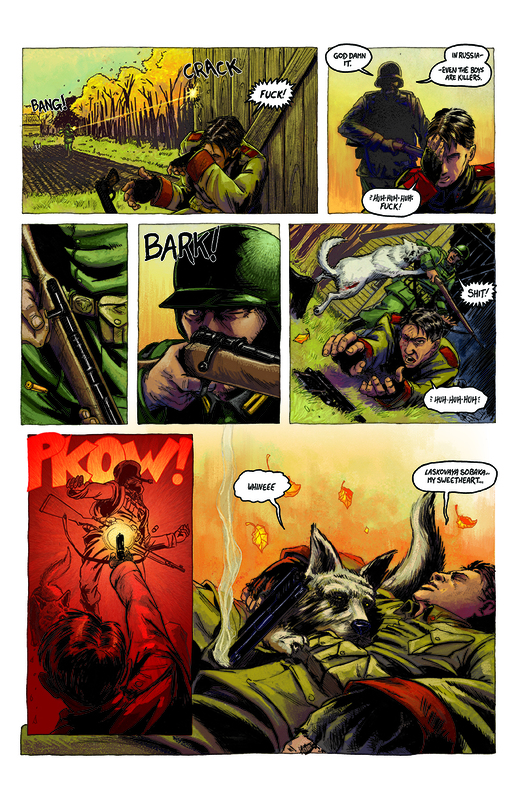 The talented Jim Giar is already deep in Ronald’s WWII story about a soldier who teaches a dog a deadly trick. 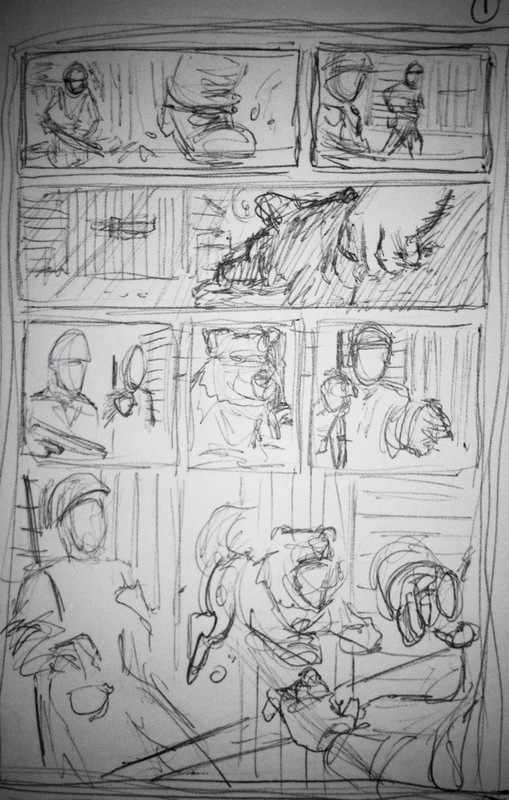 Here’s a taste, or a thumbnail if you prefer, of how the first two pages will look! 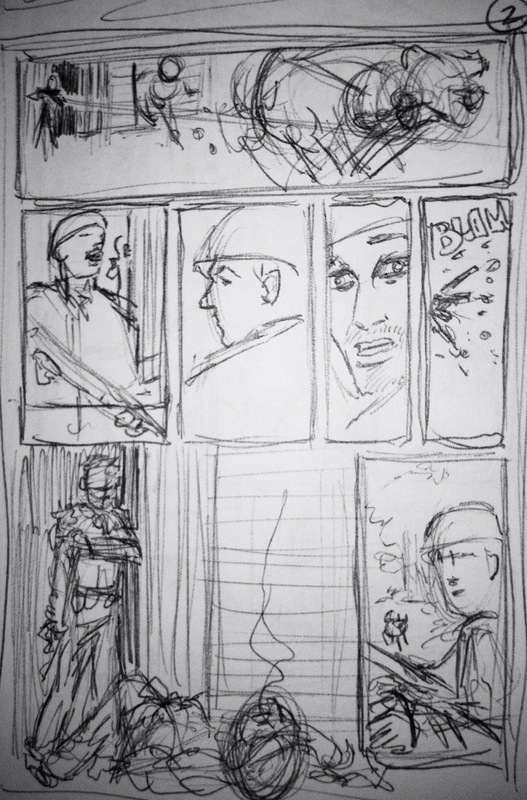 Next year we’ll post all pencilled pages, with snippets of the script. 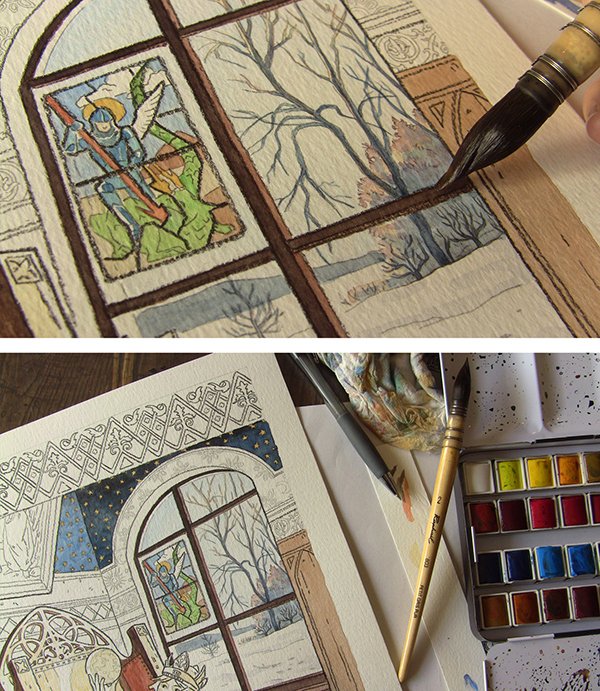 Diving into the details, to see how this story grew from words to art. Over in the US, our Alex Wilson came 3rd in the International Writers of the Future Contest for 2012! A great achievement, which bags him not only a nice prize, but also an intense week-long writing workshop. Unrelated to the competition, Alex’ short story The Last Christmas of Mrs. Claus is now available on the Kindle over at Amazon. Just in time for Christmas! You’ll find the latest news about Alex on his own blog. Head over and see what he’s cooking. And over in France (and Japan), at the Atelier Sentô, Cécile and her creative partner Olivier continue to create designs and art in more than just the comic book field. 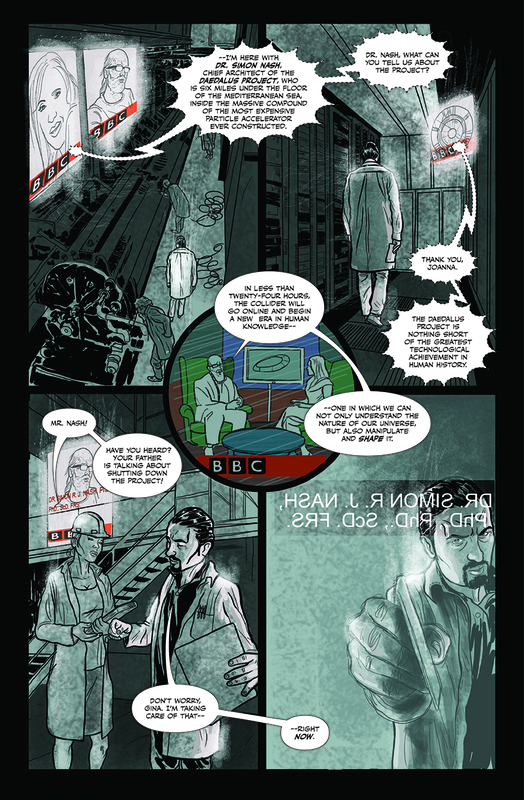 On their blog you’ll find designs for animation, comics and storyboards for their latest short film, 3 Old Gods. The film is directed by Cécile Brun & Olivier Pichard, scenario by Josh Tierney and music by Giannis Milonogiannis & Yoo-hoos. 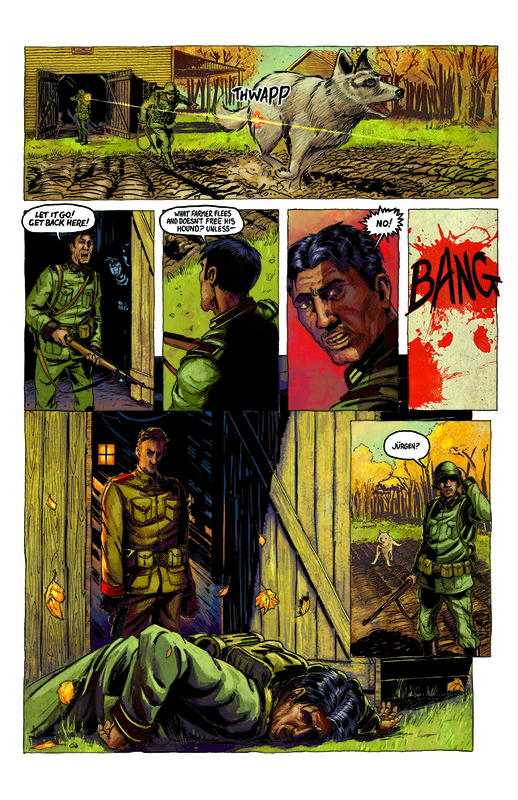 “Ben has hit a homerun.” Go see what else they say about the pin-up over at the ComixTribe article! 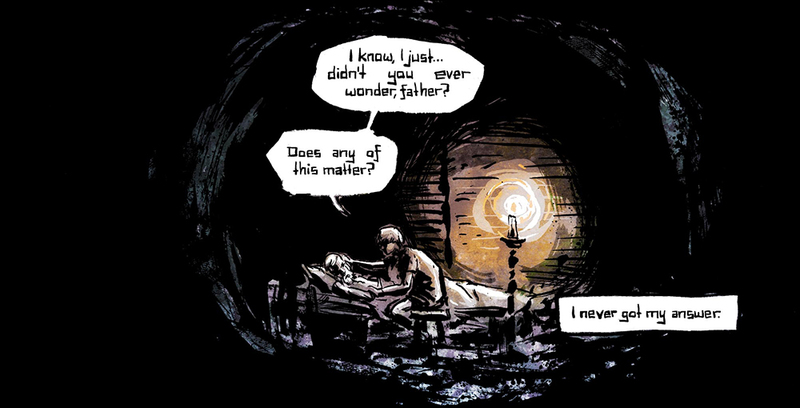 And before you leave, go read Kim Holm’s terrifying and stark adaptation of Lovecraft’s Pickman’s Model! For free! Fat, delicious food, friends and family will soon be joining us around the dining table. 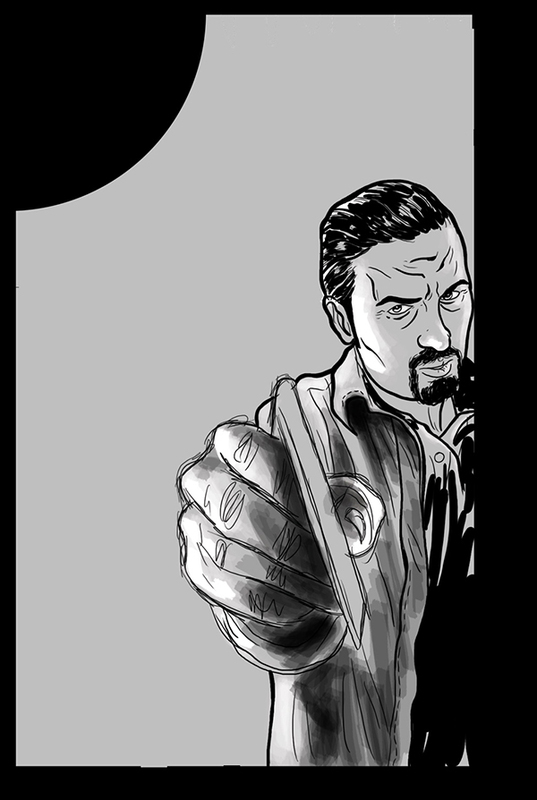 The holidays are just around the corner, and this is the last Outré update before ragnarok. But we’ll be back with more goodies come January 2013! Happy and creative holidays from all of us at Outré!